If you have thick hair, consider yourself lucky as you can easily achieve any hairstyle that you like! There is so much you can try with thick hair and switching to another style is also a breeze! All you have to do is to choose a stylish hairstyle that meets the requirements of your daily routine. 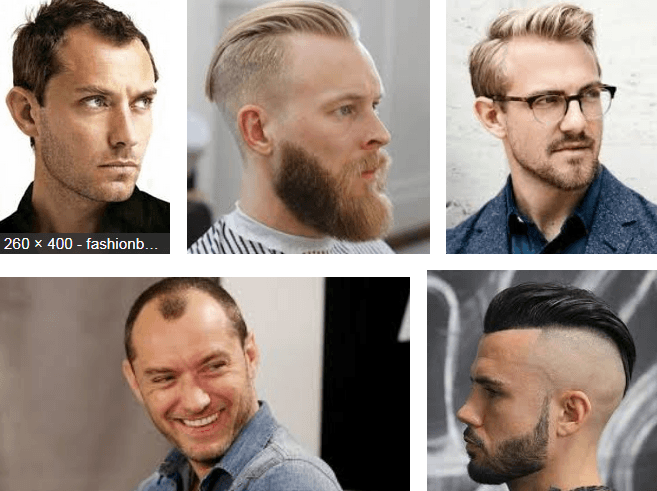 Check out these top 30 hairstyles for men with thick hair. This haircut is styled close to the head for a clean and polished appearance. You can achieve this style by blow drying your hair forward using a medium heat setting. Apply your favorite high shine styling mousse or gel to keep your hair in perfect shape. This style is ideal for oval, square, and heart shaped faces. 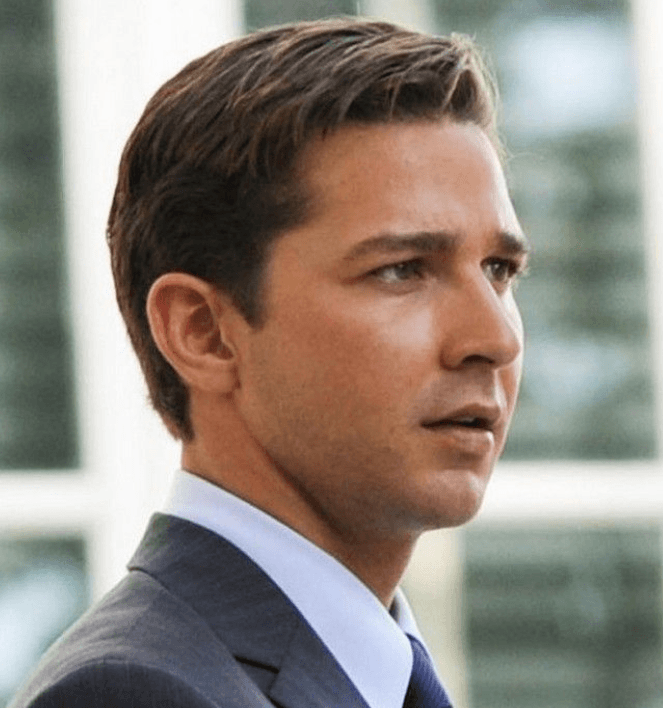 One of the best hairstyles for men with thick hair, Side Swept gives you both stylish and romantic appearance. You can achieve this style by allowing your top hair to grow more for a dramatic effect. Keep the sides short and couple it with some short facial hair. This style is also impossible to miss! 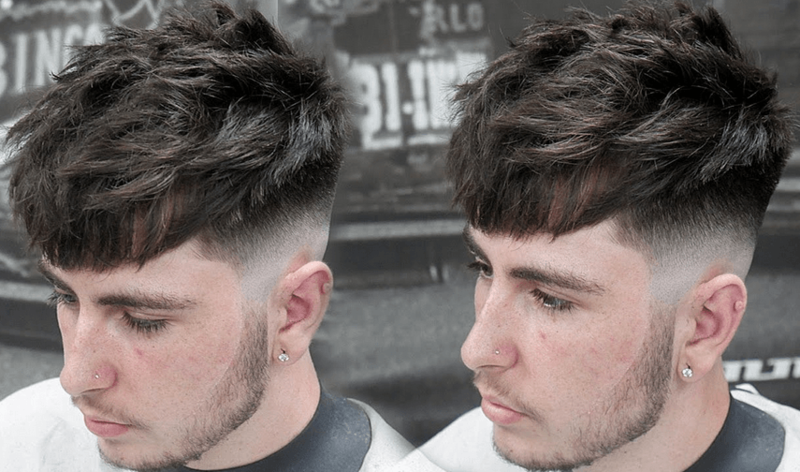 If you want to keep your thick hair short but you do not want it to be dull or boring, one of the best options available is the Shaggy Brush Cut. The small spikes on top provide additional texture. 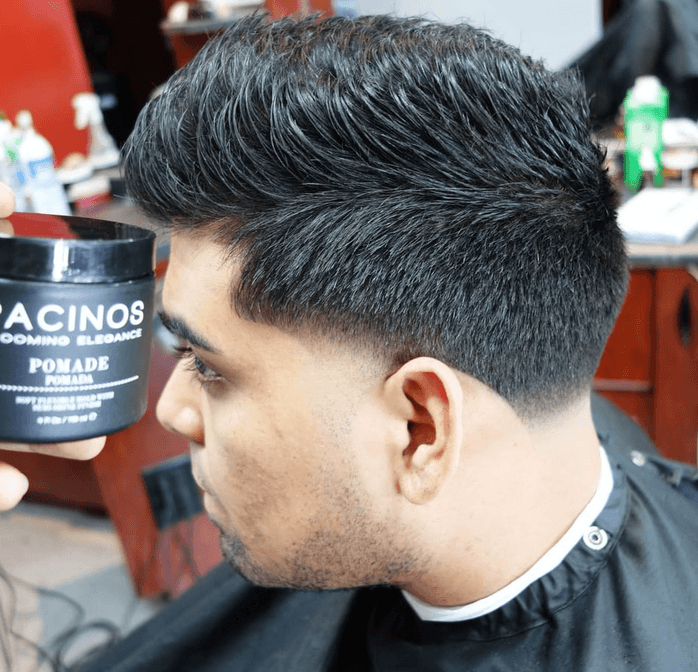 You can use texturizing pomade or cream to achieve this look and you can also try to alternate directions. This traditional combover hairstyle has a touch of a modern flare. It also has a hard which is created with a razor or trimmer. You would love the transition of the light and fade effects to dark contrast. This style gives you both clean and alluring look. It also goes with any dress style, trend, or occasion. 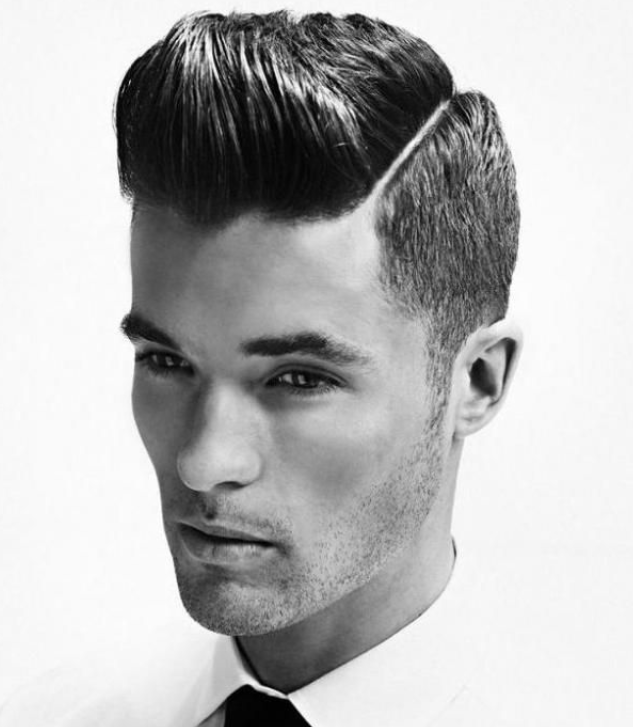 Another excellent hairstyle that you might want to have if you have thick hair is the Blown Quiff. This gives you a stylish and elegant look by simply brushing your top hair sideways. To achieve this style, have the sides cut short, leaving the top enough length so you can have creative bangs. It will create a smooth arc of motion that turns heads. 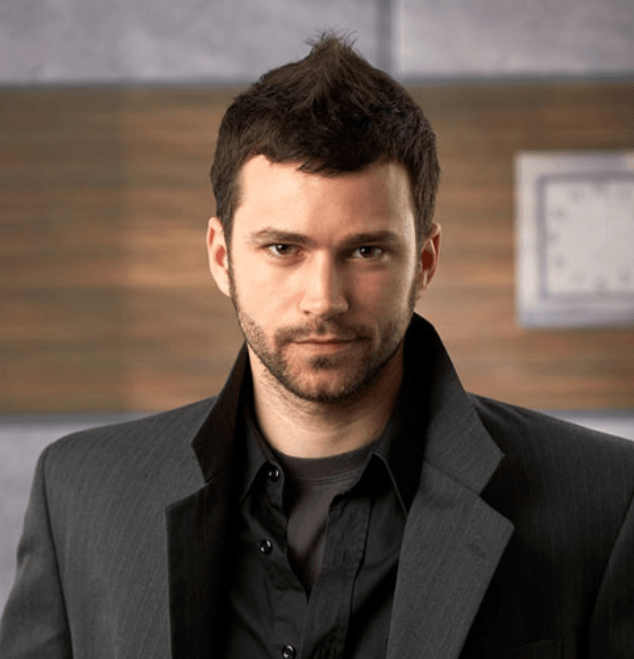 For a clean and younger appearance, one of the best hairstyles for men with thick hair is the Shaggy Thick and Textured. Simply keep the sides short with and add texture on top by making some spikes. You can also style this in many ways even without a product. This is an on-the-go hairstyle for men looking for a new and enhanced look. 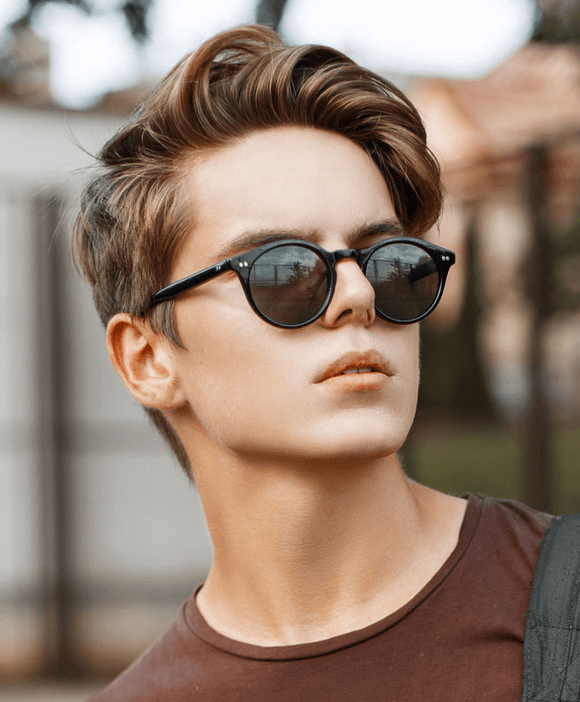 Here is another cool hairstyle for men with thick hair. 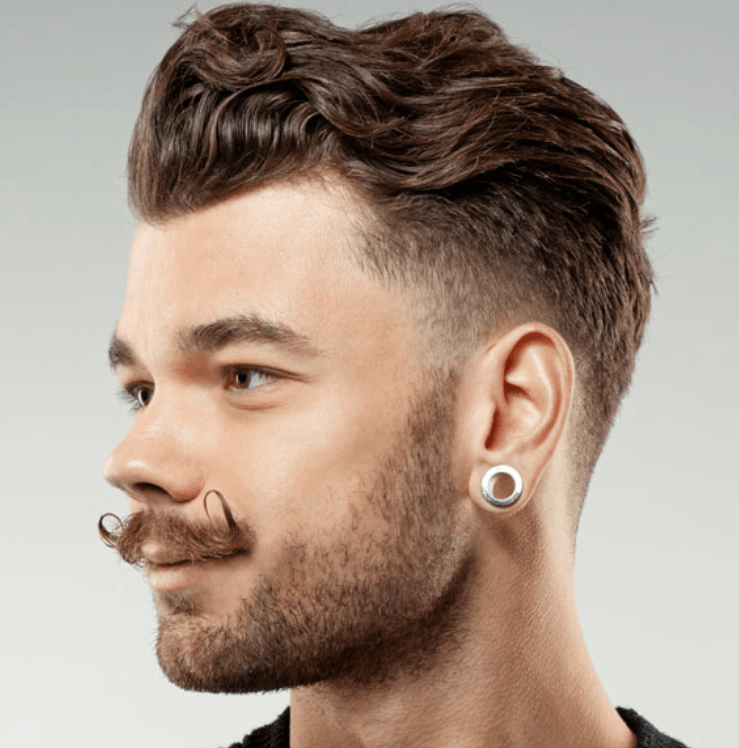 In this style, both sides are trimmed short but just enough to connect your facial hair. Allow your top hair to grow and show your naturally wavy or curly hair. This style is also easy to arrange as you can just use your fingers to manage your hair every now and then. 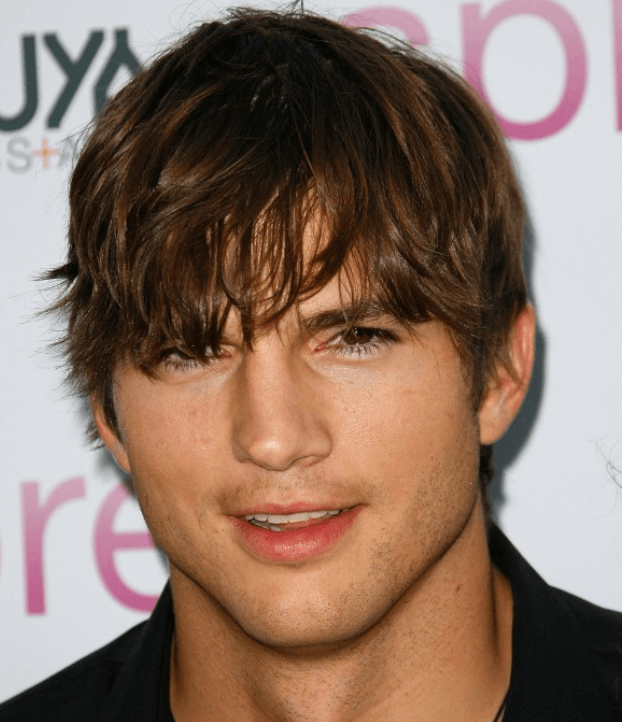 If you have thick and wavy hair here is one of the best hairstyles for men with thick hair. You can allow your natural waves and texture to work for you. In this style, the sides have faded effects that connect artistically to your beard. You can also use a product to add more layers and you are ready to go! For a classic, stylish and elegant look, you might want to try the Brushed Back & Natural hairstyle for thick hair. It has a natural look and appearance, making it very easy to maintain. There is no need to exert a lot of effort in styling just to have this look. Having thick hair allows you to enjoy different hairstyles and that includes the Retro Styled Professional Cut. This particular hairstyle requires a decent amount of hair. In this style, you need to create a side part. Use your favorite high quality gel or mousse and a comb to keep your hair in place. This will give you a fresh and clean look, making it great for attending business events and important occasions. 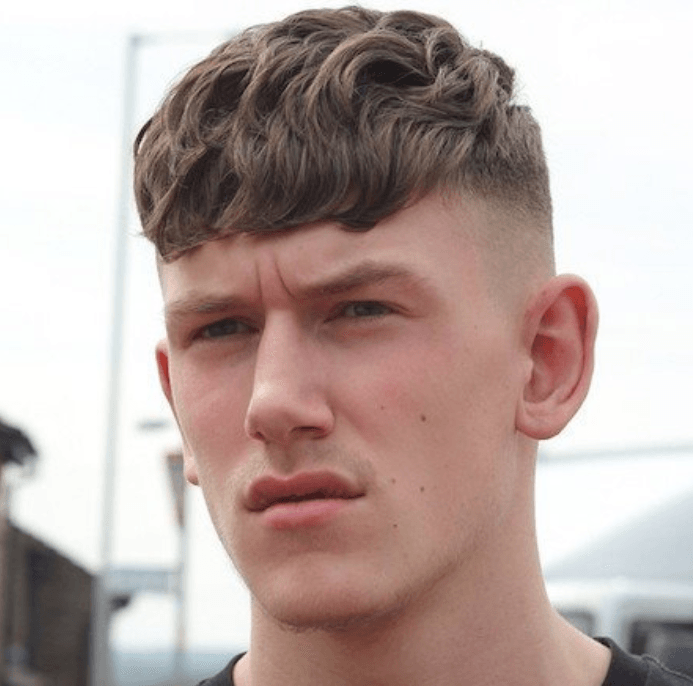 One of the best hairstyles for men with thick hair is the Skin Fade Crop. It is currently a big summer trend as it leaves a 90s style with a modern twist. All sides are shaved neatly with faded effects, leaving the top heavy and thick. You can comb it forward or use a small amount of a product to maintain this look. Having long, thick and wavy hair allows you to achieve this elegant and stylish look. You can show off your curls by leaving a decent amount of hair on top. Ask your barber for a low or mid fade with demarcation. Make sure that you also tell him to leave three or four inches of hair on top so you can have this style. If you are looking for something different, you might want to try the U.K. Inspired Fade. 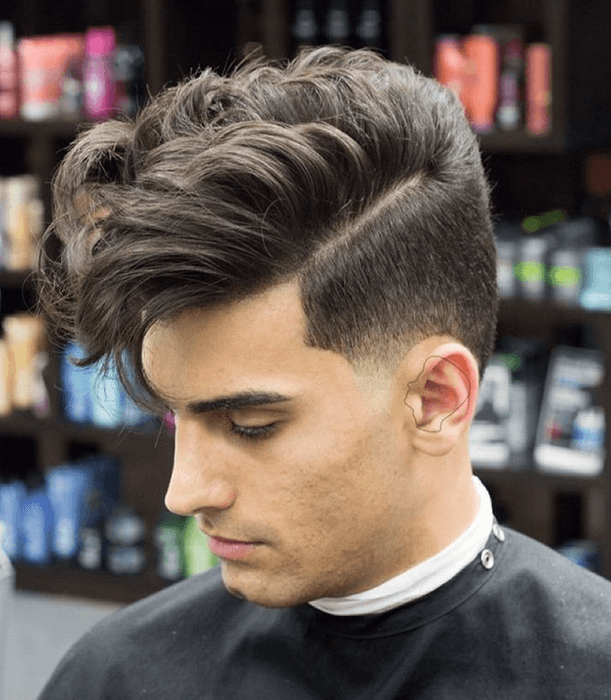 This is one of the best hairstyles for men with thick hair as it creates a wavy texture while coupling it with a smooth fade. It gives both gentle and sharp appearance at the same time. You can use any salt spray to recreate this look. 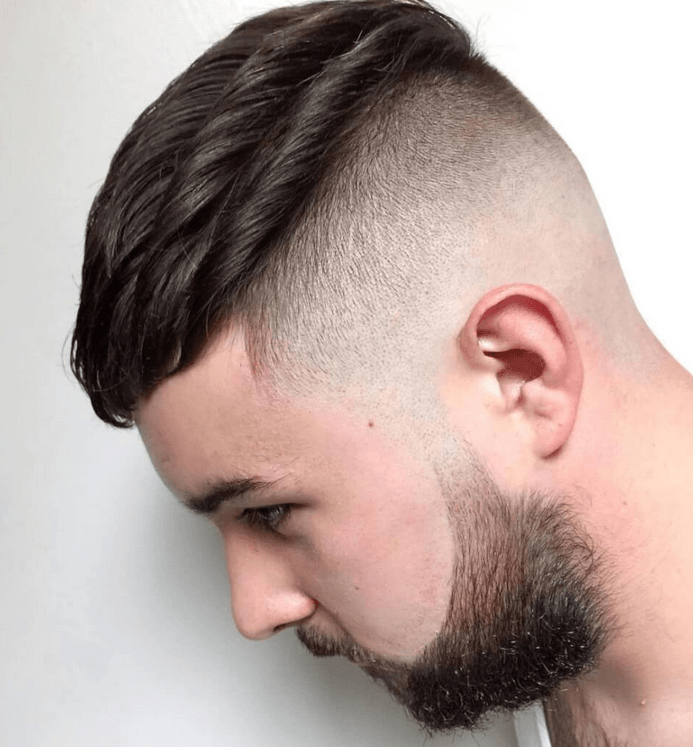 Another excellent hairstyle that men with thick hair would want to apply is the Perfectly Styled Wavy Cut. It can be easily achieved with a diffuser. The attachment is placed on the end of your hair dryer, amplifying waves and curls. Make sure that you shape your hair according to your preference as you are drying. This is perfect not only for business setting but also for casual wear. If you are looking for casual yet sophisticated hairstyle, you might want to apply the Young Professional style. It looks great not only for everyday wear but also for formal events and special occasions. To achieve this style, use a blow dryer and use a small amount of gel or clay to set your hair together. Make sure that you create a side part so you can comb your hair in the right direction. This will give you a young business professional appearance. 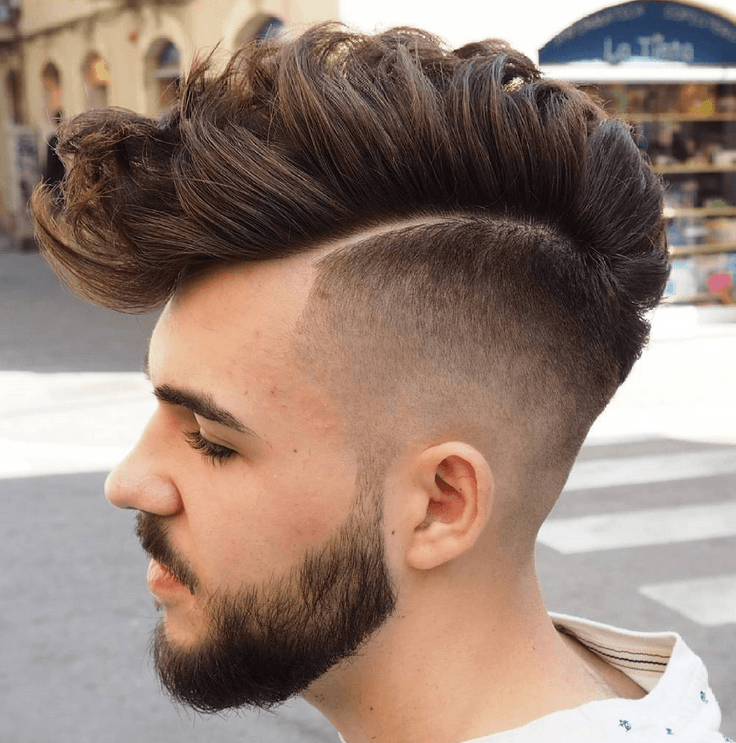 Another great hairstyle that many men with thick hair want to achieve is the Thick Faux Hawk Mullet. It is so awesome that it can actually turn heads! 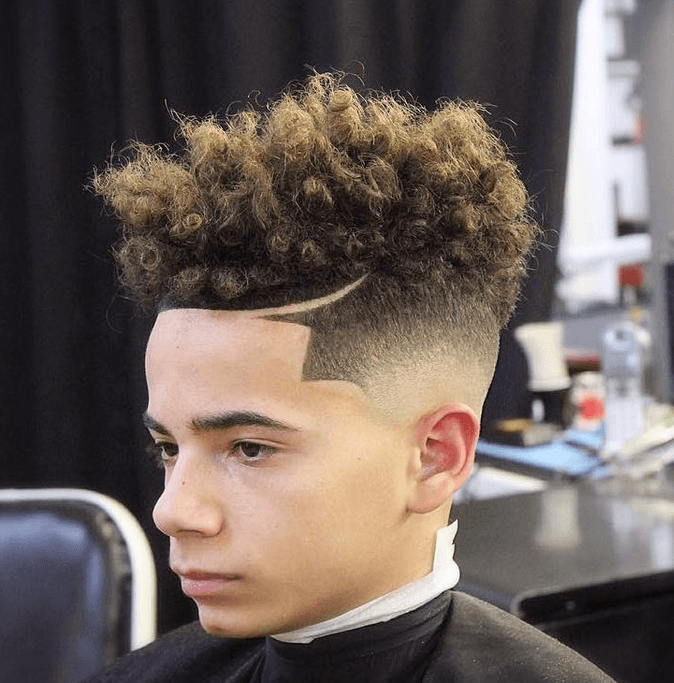 In this style, both sides are shaved and have a faded effect while the top and center back have significant amount of hair. Use your favorite mousse or gel to make spikes or curls for additional height. 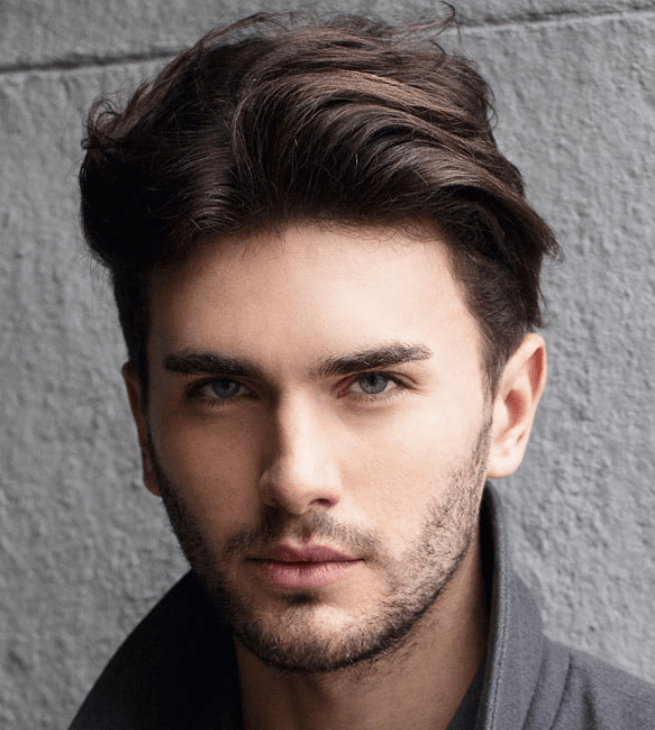 One of the best hairstyles for men with thick hair is the Dimensional Texture. In this hairstyle, all sides are cut short with the same length while the top has significant amount of hair. You can let it flow freely or use a gel to keep your hair in place. Another great thing about this style is that the highlights make the waves stand out. 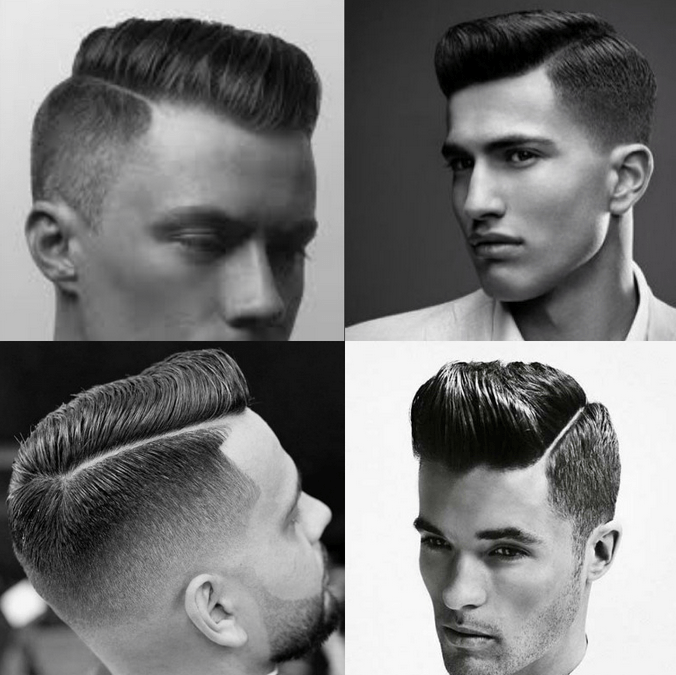 Another way to embrace and enjoy your thick hair is by adapting the Thick Pompadour cut. It may take a few days for you to master this hairstyle, but once you have got it down, doing it is just a breeze! First step is to apply enough heat protectant cream through the strands. Then, use a round brush and dry each section up and back. Complete the style with a hair spray. For an artistic look, you might want to have the Disheveled Texture style for your thick hair. 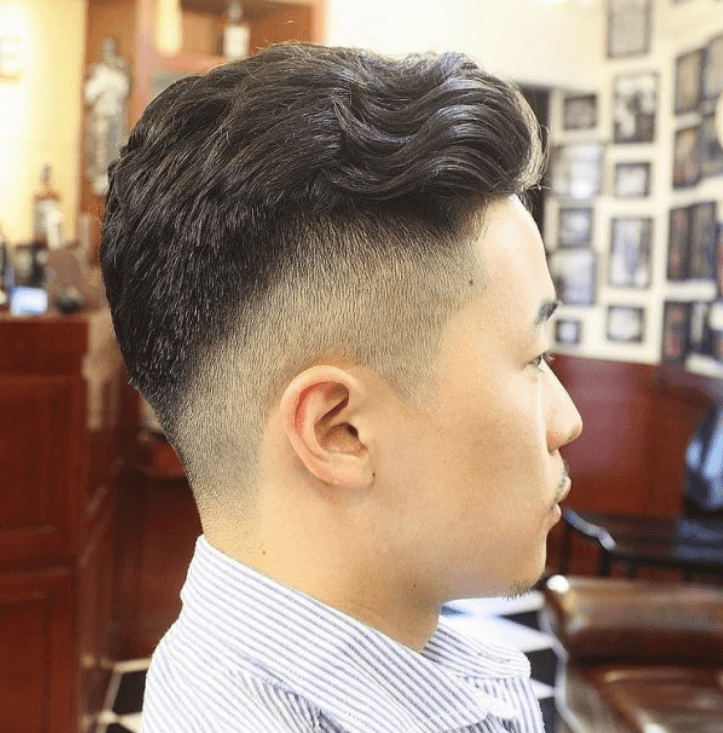 Achieving this style is easy and you can do it without help from others. After drying your hair with a towel, apply enough high hold texture cream and just use your fingertips to style your hair. Let it dry naturally and you’re done! This style is best suitable for heart, square and oval face shapes. Another amazing, urban way to style your thick hair is Curly Crop with Side Designs. This is one of the best options especially if you have naturally curly or wavy hair. It also looks best when styled with a light mousse or gel to hold everything in place. You may also consider having bold carved lines for extra visual designs. 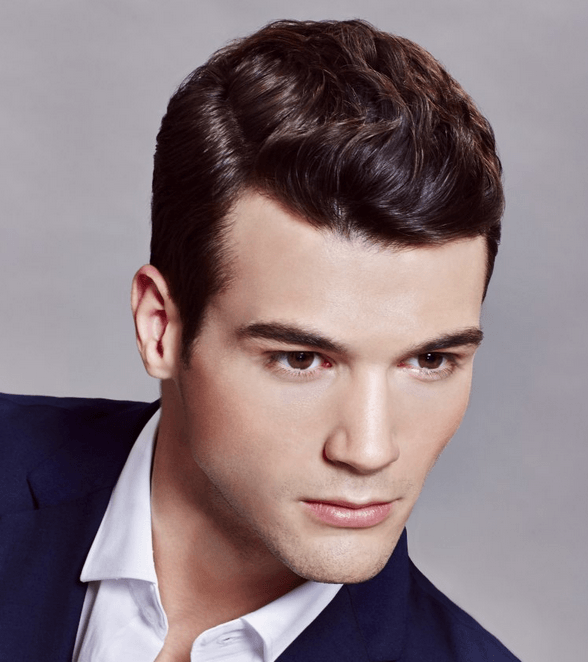 Another great hairstyle for men with pear and oval face shapes is the Side Step. To achieve this hairstyle, dry your hair with a towel first before using a blow dryer. Use your fingers to direct your hair to your preferred side. Use a molding gel or paste to add texture and depth. 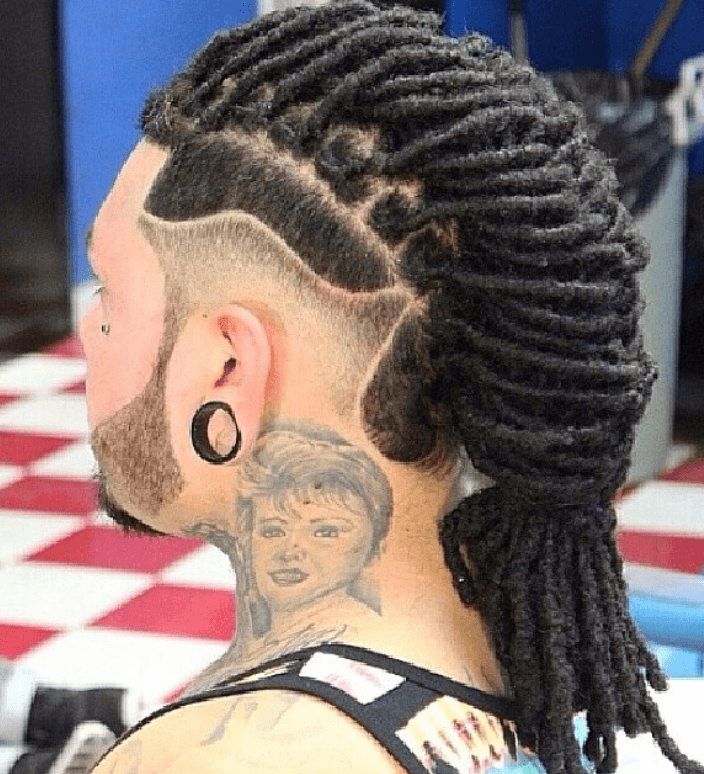 If you enjoy standing out among the crowd, then Thick Dreadlocks with Side Designs might be the right hairstyle for you. Those twisted dreadlocks can definitely turn heads around you. Each is created with an equal amount of hair, which means that you can take advantage of your thick hair. The side designs are also a great way to accentuate your faux hawk braid. For men with round, square and oval shapes, this is a great hairstyle to dry. It is styled into a slight faux hawk without shaving the sides of your head. Simply use your fingers to direct your hair toward the middle with the use of a blow dryer. Apply your favorite styling cream or gel to hold your hair in place. 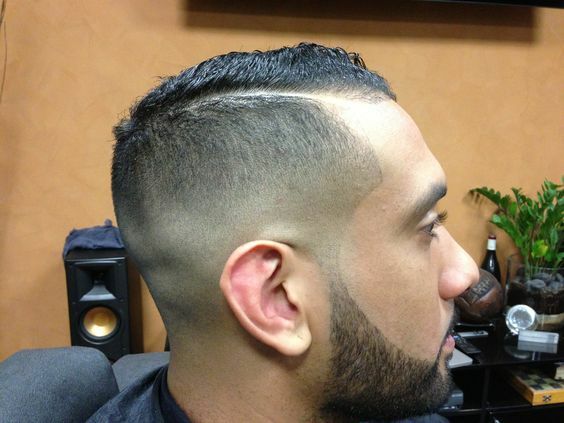 One of the best hairstyles for men with thick hair is the Side Parted Under Cut. It is great not only for casual wear but also for special occasions. Simply let your long top layers hang to the side rather than sweeping them back. This style is definitely an eye-catcher as it looks not only fashionable, but also romantic and alluring. 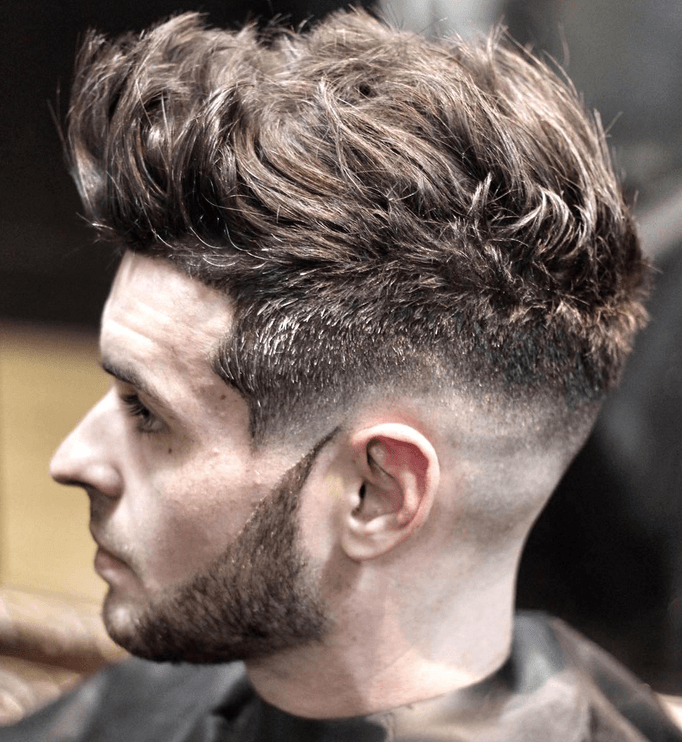 Here is another stylish cut that you can try if you have thick hair. 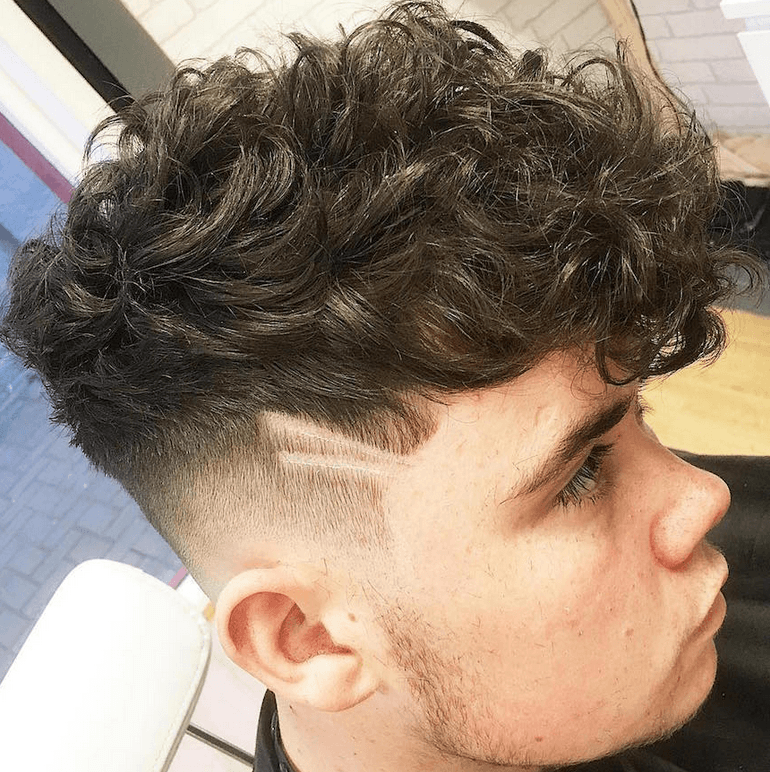 This medium to short cut is creatively designed around the head. It creates a shattered feel and tons of movement around the ends. Apply a grooming cream and use a paddle brush to wrap hair around your head. Dry the area with a blower to create movements. If you are into undercuts, you would love this hairstyle. 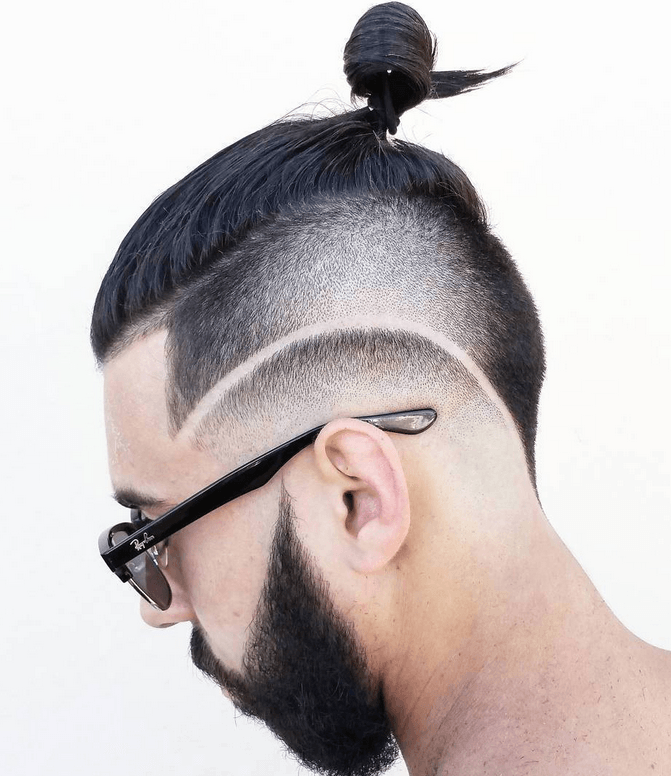 Undercuts with designs like this particular hairstyle are uncommon and if you want something different, you might as well want to go with this one! Another great thing about it is that girls love men with buns. For a clean and look appearance, you can try the Slice Retro Wave. 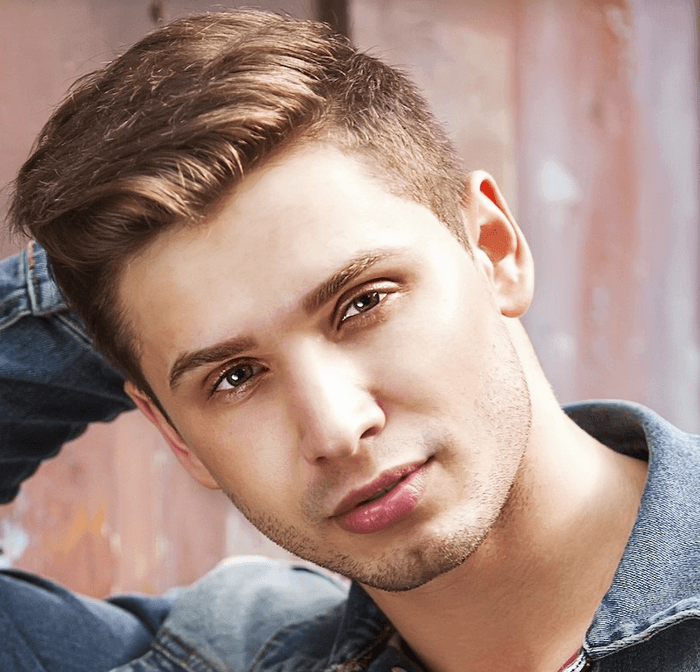 To achieve this hairstyle, use a strong hold gel or pomade. Blow dry hair on both sides and back. On top, use a small barrel round brush and dry it. Keep your hair on the brush and heat it to hold the wave position. 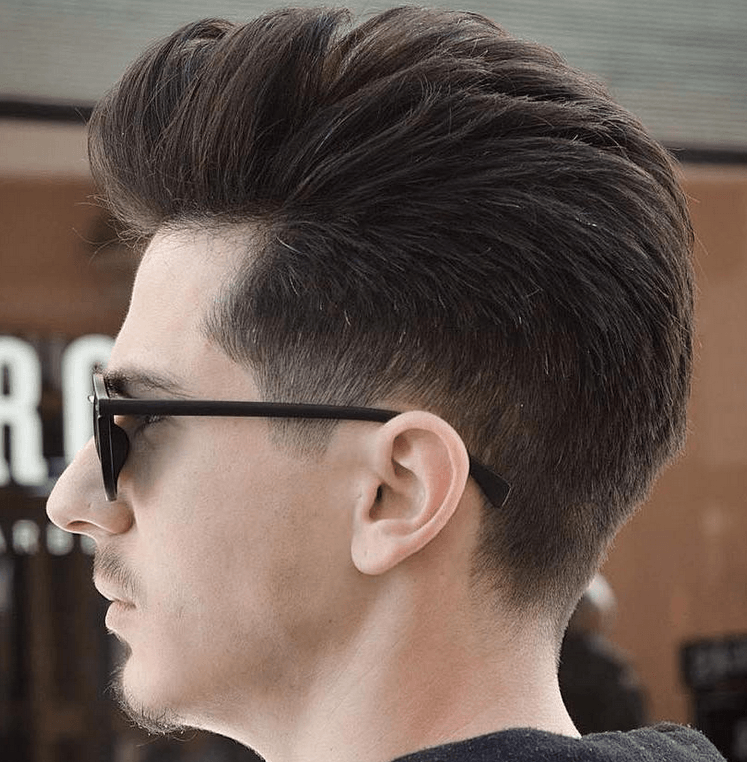 The Textured Taper Fade is one of the best styles for thick hair. It is very simple to get the volume and height of this style if you are blessed with naturally thick strands. All you have to do is to blow dry straight up. Style it forward while applying your favorite gel or holding mousse. You can also apply hairspray to maintain the spikes. 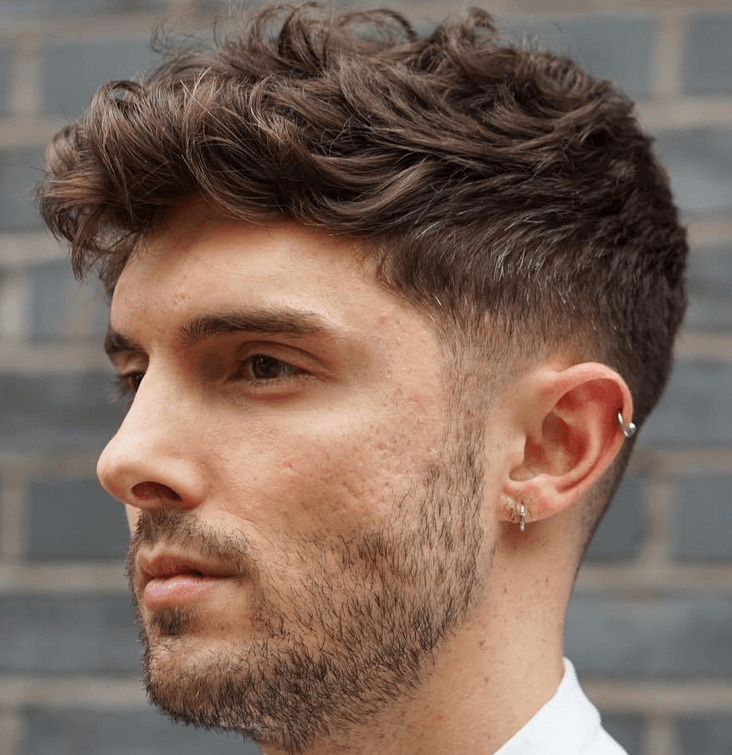 Because spiky hairstyles are not appropriate when it comes to formal events and business gatherings, you can always go for a neat and short style. Simply brush or comb your bangs or top to one side and apply a styling product to finish. 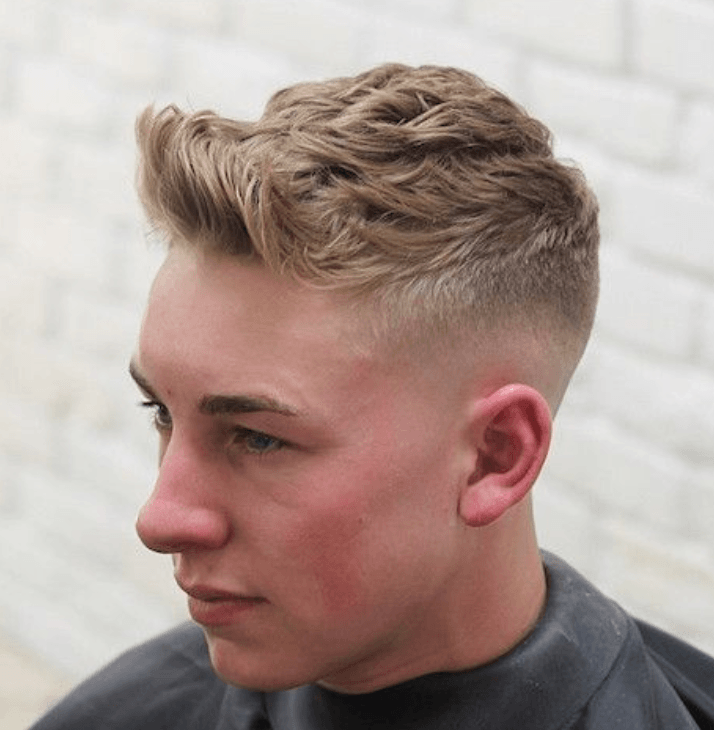 If you want a cool and low maintenance haircut, you can always opt for the Crew Cut Hairstyle. This gives a nice edge and it will always make you look decent. There is no need to comb your hair or apply any products. Drying your hair with this hairstyle is also a breeze!